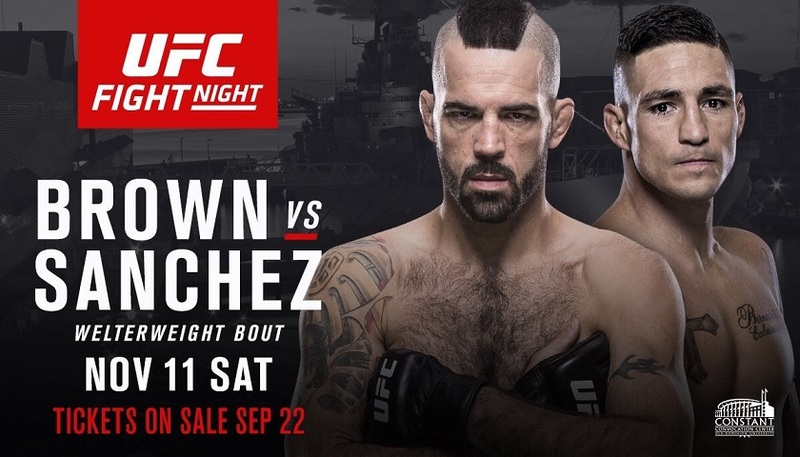 Ultimate Fighter season 1 winner and longtime UFC Veteran, Diego Sanchez will return to welterweight when he takes on Matt Brown in Norfolk, Virginia. The UFC Fight Night 120 bout takes place Nov. 11 at Ted Constant Convocation Center. Sanchez returns to 170 pounds for the first time since 2012. He is coming off a first round knockout loss to Al Iaquinta at lightweight in April. Brown will be returning to competition for the first time since his December 2016 knockout loss to Donald ‘Cowboy’ Cerrone at UFC 206. Just like the fight with Cerrone, this Brown fight with Sanchez has fireworks written all over it. UFC Fight Night 120 event airs on FS1 following early preliminary bouts on UFC Fight Pass. Next Why did it take a UFC champion to rejuvenate boxing?